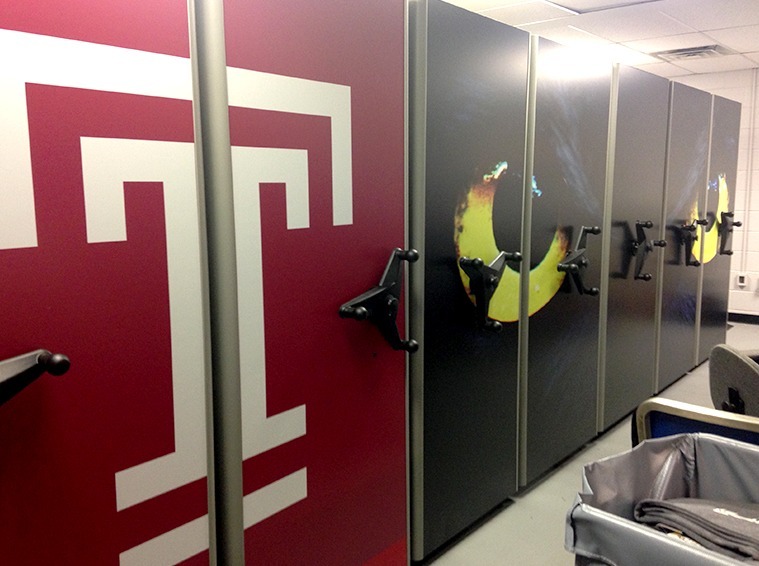 Home - Storage Concepts Inc. Customized solutions designed around your needs. Customized solutions designed around your business. Customized solutions designed for your healthcare business needs. 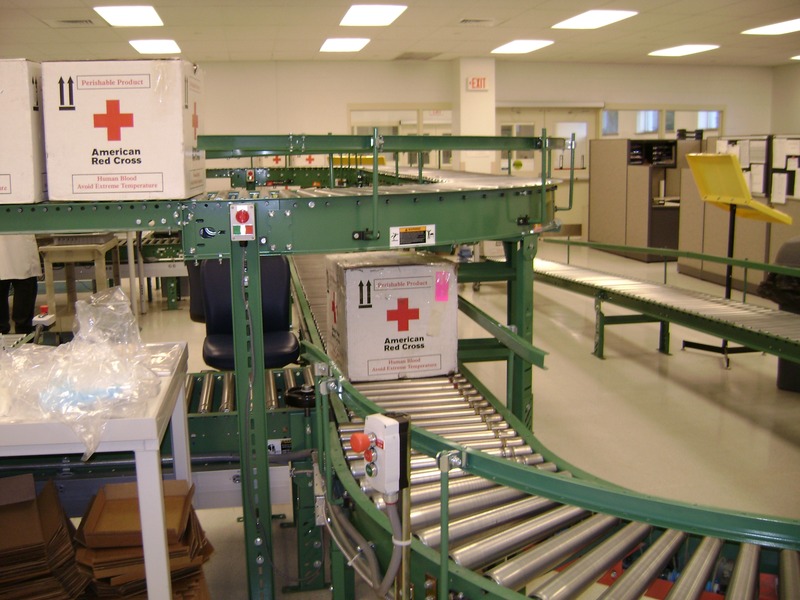 Customized solutions designed for your automated storage and retrieval system needs. Storage Concepts, Inc. (SCI) designs, markets, installs and services systems to effect efficient productivity of areas in question based on client input. 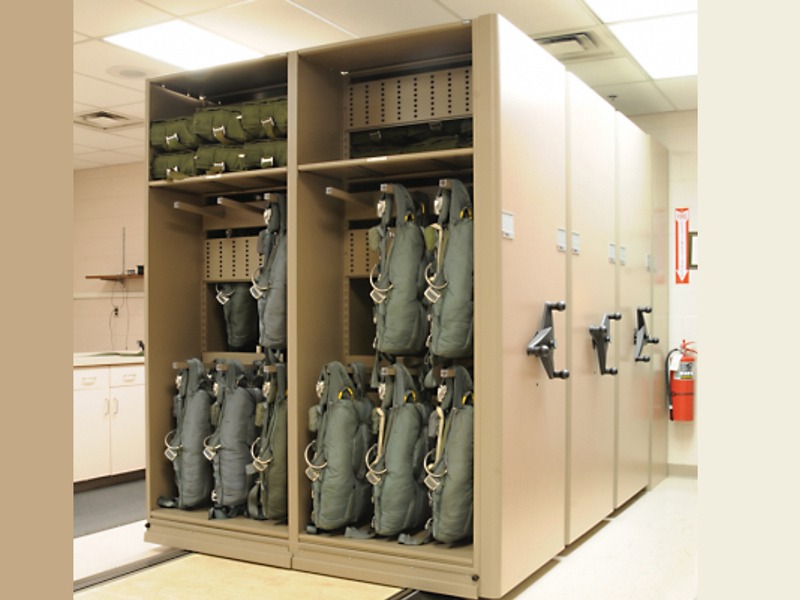 SCI storage solutions handle the variety and volume of today’s information materials. 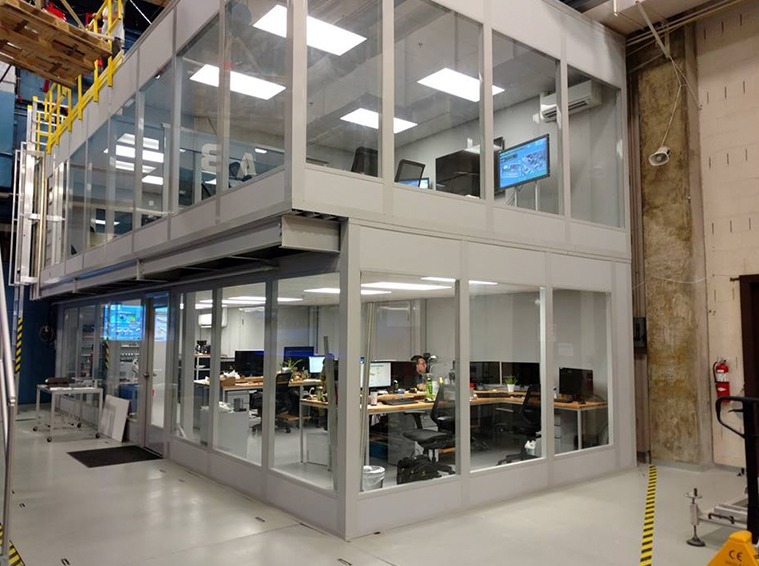 We provide clients with future expansion capabilities for space utilization concepts which will best meet their needs. We are making history in the high density mobile shelving market place. 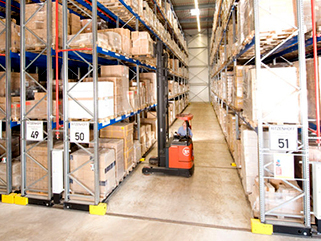 We provide the best quality service and design solutions while reducing storage costs for our clients. Achieve as much as 100% greater storage capacity in the exact same work space! Contact us today for a FREE Space Efficiency Audit! Storage Concepts’ mission is to provide the best possible consultative services including design, support, sales, installation and service to our clients covering all aspects of storage and retrieval technologies. Our quest is for the best possible solution for our customers needs. Our primary goal is to not only meet your requirements but exceed your expectations. The three-dimensional elevation above is shown with equipment storage. 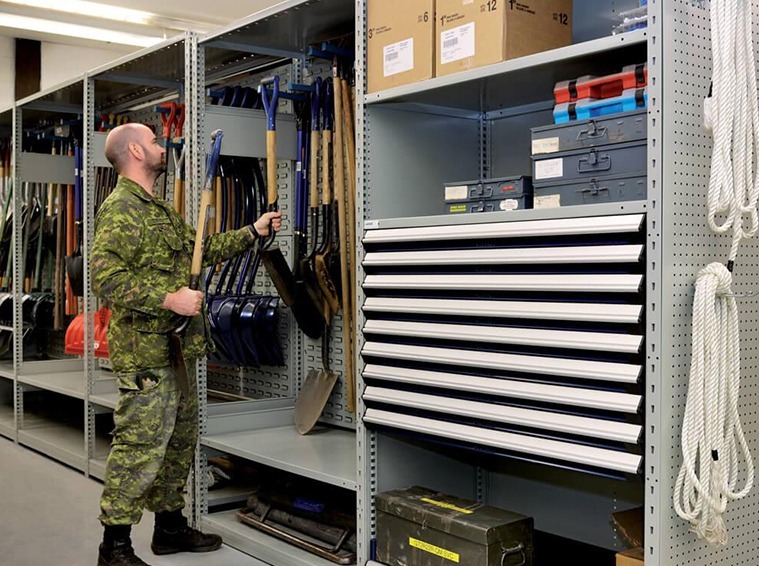 We have the capabilities to design and initiate any storage system that fits your needs – all we’re waiting for is you. 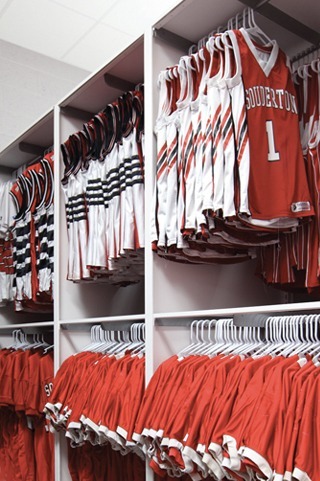 See how we can maximize your space and increase storage capacity! 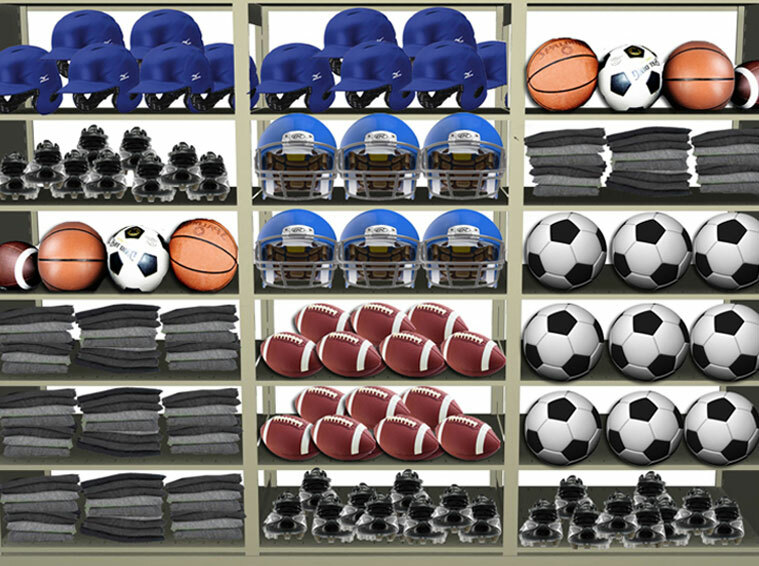 Challenge Us to "Store Your Stuff"
The storage system shown here was designed specifically for Athletic Equipment storage. It is designed to work well within any office or available store room. 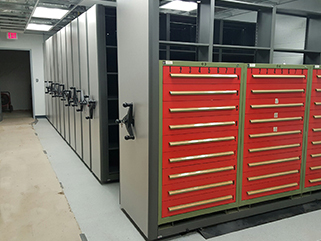 Mobile storage systems offered by Storage Concepts, Inc. feature enclosed drive mechanisms that hide all drive chains and gears behind a space efficient thin low profile laminate end panel.